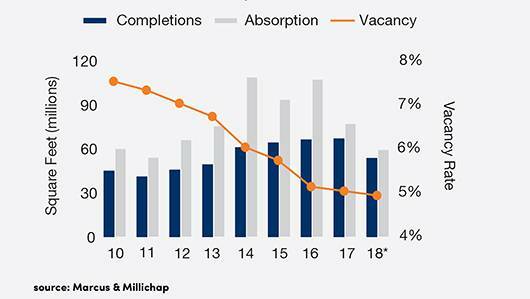 Limited new development will help spur healthy rent gains in the second half, according to a Marcus & Millichap midyear outlook report. 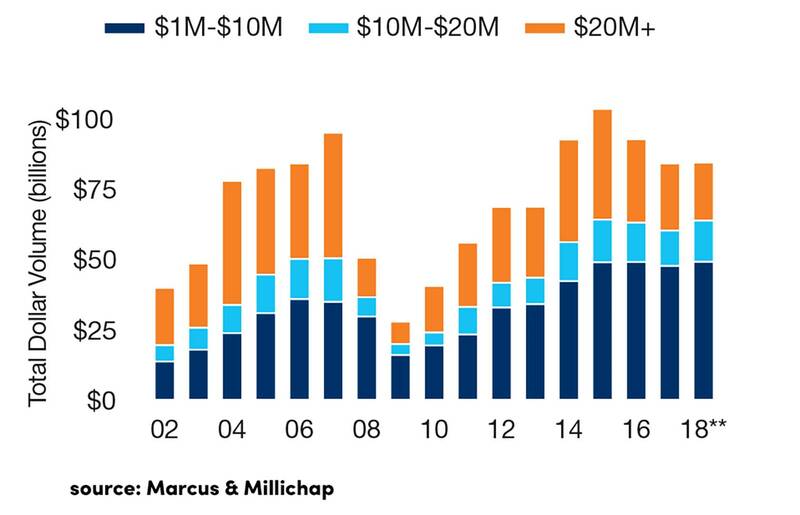 For this year, Marcus & Millichap is projecting that U.S. retail developers will open some 54 million square feet of new retail space, the lowest amount since 2013. Last year they opened about 67 million square feet of new space. “The slowed pace of development can be partially attributed to stricter lending practices, as loan originators remain relatively cautious while they watch the retail sector evolve,” said Scott M. Holmes, a Marcus & Millichap senior vice president who directs the national retail group. 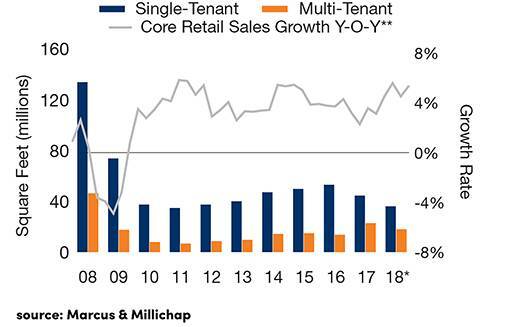 “This cycle’s lending behavior is vastly different than the previous one, in which originators’ practices were quite liberal.” Then, too, more retailers are moving into existing vacant space, dampening demand for new construction, he says. This reserved development environment has helped nurture ever-stronger occupancy levels. Marcus & Millichap anticipates that the national vacancy rate will hit 4.9 percent this year, the lowest level since 2001. That would be a 10-basis-point vacancy decrease relative to 2017. Strong retail sales growth on elevated consumer confidence has prompted many retailers to ramp up expansion efforts, the firm says. 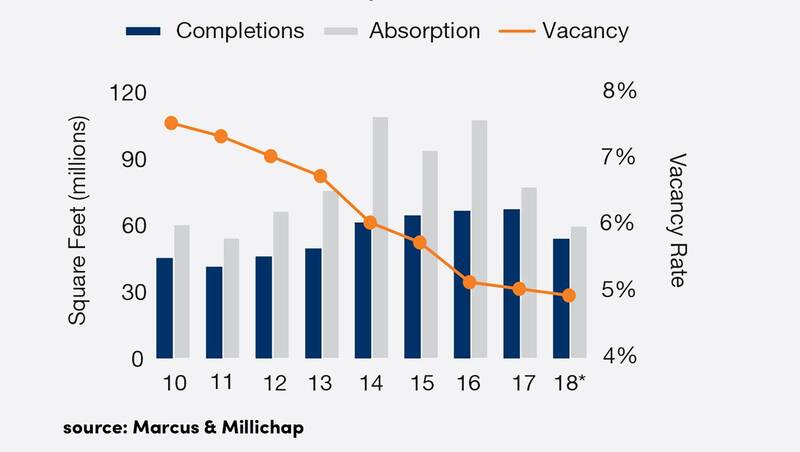 High occupancy levels and fewer new developments will allow landlords to boost rents by 3.2 percent, to an average of $19.89 per square foot this year, Marcus & Millichap is forecasting. 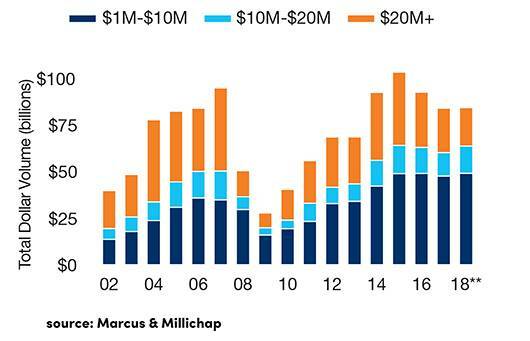 These healthy fundamentals notwithstanding, investors are wary of an evolving industry and are likely to refrain from large deals, Marcus & Millichap reports. Instead, they will funnel their funds into assets in the $1 million to $10 million range, the firm says. Nationwide, dollar volume has decreased for each of the past three years, and Holmes says this year will probably be no exception.